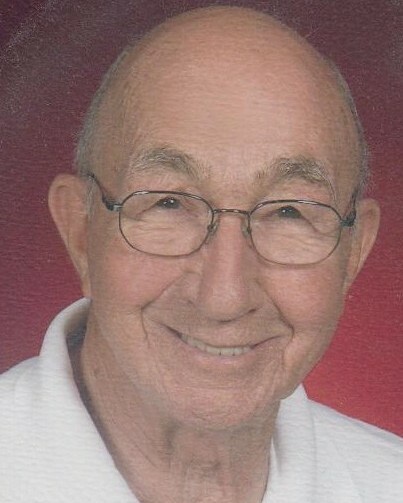 Robert F. Sutkowski, 91, of Plainville, passed away peacefully in the comfort of his home on Saturday, April 6, 2019 with his beloved wife of 53 years, Barbara (Perkins) Sutkowski, by his side. Robert was born on August 21, 1927, in Middletown, son to the late Robert and Helen (Weiculewic) Sutkowski. He graduated from New Britain High School in 1945. 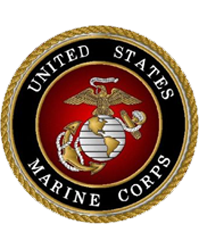 Shortly after graduation, Robert joined the U.S. Marine Corps and served actively from June 1945 to June 1949, when he was honorably discharged. Following his return home from the military, Robert helped his father run Bob’s Hut in Kensington. In 1965, he became interested in the engraving business aside from owning Bob’s Package Store on Oak Street in New Britain. In 1971, his interest in engraving led him to establish Master Engraving, a shop formerly located in the center of Plainville. By 1989, Robert took an early retirement and continued to do engravings out of his home part time. Robert and his wife settled in Plainville, where together they worked in and out of the house, building things, and designing and planting gardens, always enjoying each other’s company. He was an active member of the Marine Corps League for several years after his discharge from active duty, a lifetime member of the Knights of Columbus #3675, Kensington, and was involved with the Plainville Rotary Club. Robert was an avid golfer and a member of the Plainville Golf League. In addition, he was a member of the Pine Valley, Chippanee, and Indian Hill Golf Clubs. Robert was a devoted Catholic and a longtime parishioner of the Church of Saint Patrick in Farmington. He had a generous heart, especially if it concerned young people, and was always willing to help others. After his retirement, he gifted many of his tools and equipment to people he felt could use and benefit from them. He was a quiet, humble man who never sought recognition for the things he did and will be missed dearly by all who knew him, leaving a legacy of generosity, kindness, and love. In addition to his wife, Barbara, Robert is survived by his niece, Hillary Wallace, of Canton; his grandnephew, Jack Kelley, of Canton; his nephew, Jeremy Macko, of New Mexico; his grandniece, Jessica Raynor, of Fort Myers, FL; his grandniece, Amber Raynor, of Green Acres, FL; his sister-in-law, Charlotte Stowik, of Fort Myers, FL; and his sister-in-law, Patricia Perkins, of West Hartford. In addition to his parents, he was predeceased by his only brother, Cyril “Al” Sutkowski and his niece, Cheryl Raynor. A Mass of Christian Burial in Celebration of Robert’s life will be held on Thursday, April 11, 2019 at 10 AM at the Church of Saint Patrick, 110 Main Street, Farmington, CT 06032. Family and friends are welcome to gather directly at the church from 9:30 AM to 10 AM prior to mass beginning. Burial will be held at a later date. Bailey Funeral Home, 48 Broad St., Plainville is assisting the family with arrangements. In lieu of flowers, donations in memory of Robert can be made to Capital Campaign, c/o Church of Saint Patrick, 110 Main Street, Farmington, CT 06032.